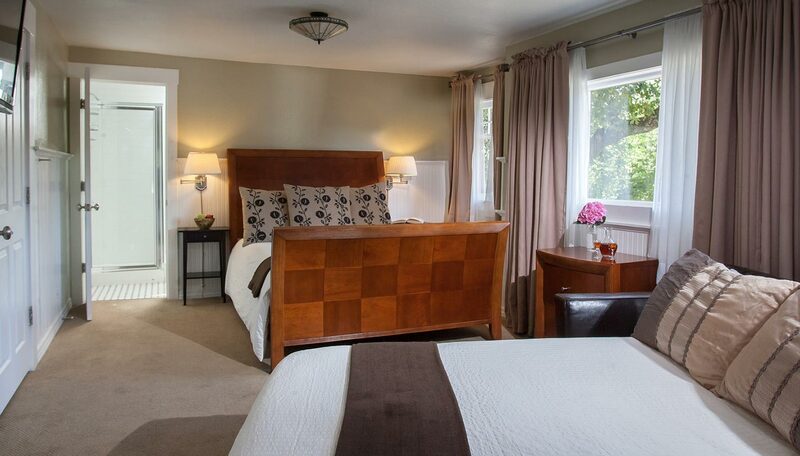 Looking for lodging in Napa Valley? 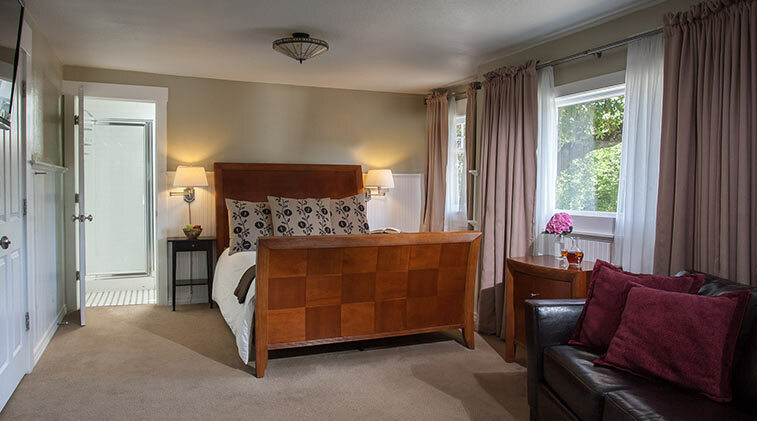 The spacious Palisades room, upstairs, at the front of the Craftsman Inn, retains many of the original Craftsman features of the house’s 1912 heritage. The built in chest of drawers, bead board wainscoting and window seats all evoke the elegance of the Craftsman era. In addition to the soothing pillow topped Queen bed this room contains a comfortable sitting area with a large leather sofa w]ere you can relax and read or sit back and enjoy a movie on your flat screen TV. 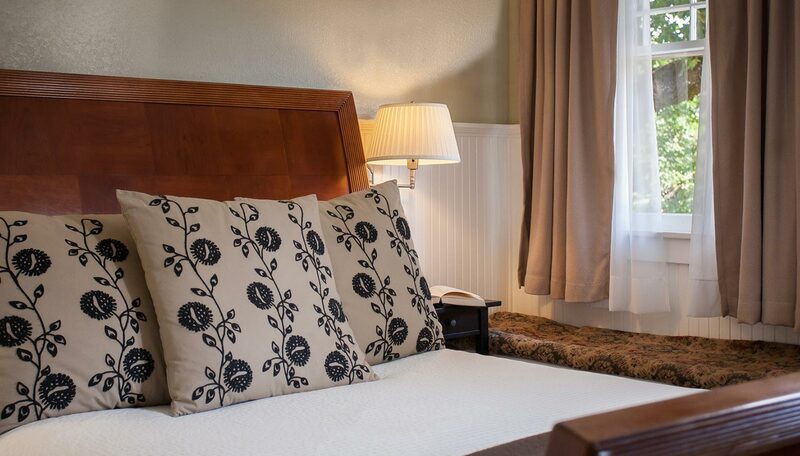 Up to two additional guests can be accommodated on the pull out sleeper at an additional charge of $35 per person per night. You can also reserve a private massage for you and your partner. 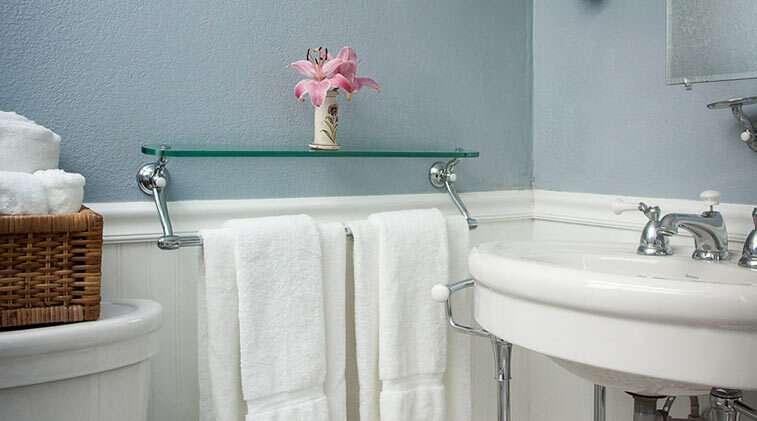 Your compact period tiled bathroom has a large steam shower. 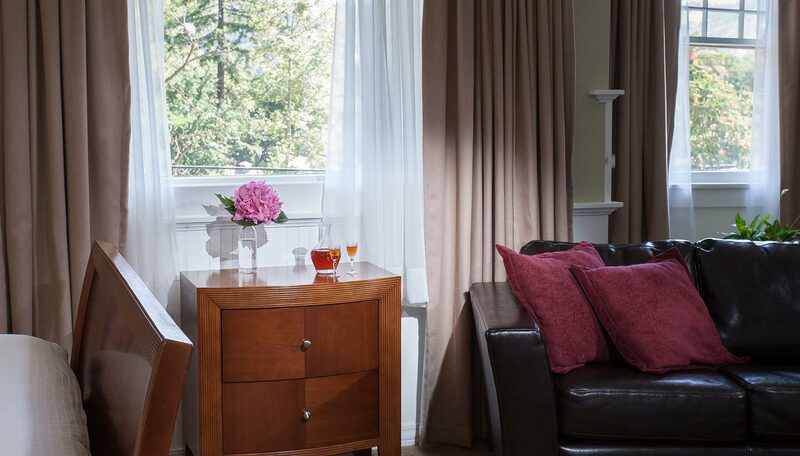 The sofa contains a full size sleeper and with this the room can accommodate up to 4 people. Additional guest charge is $35 per person per night. "Great accommodations and hospitality. It was like we never left home." 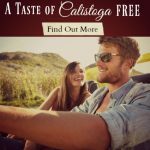 Discover our specials and packages for an even more incredible Napa Valley getaway.